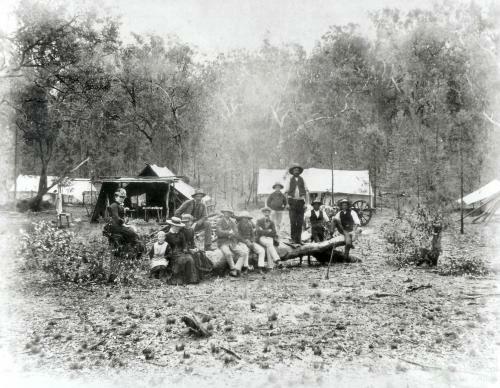 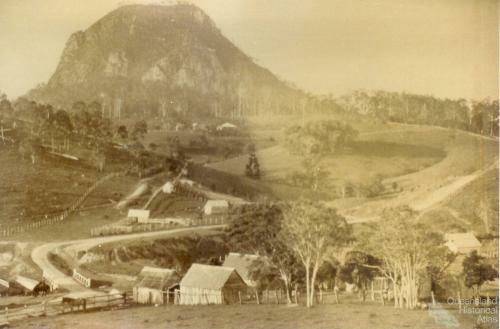 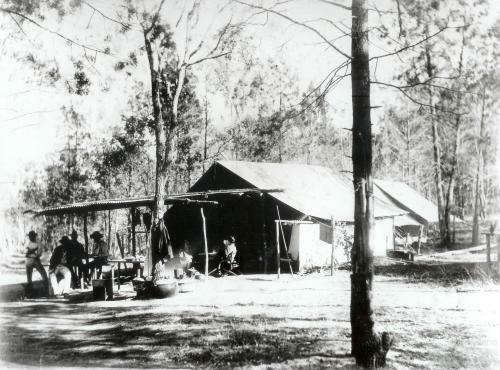 Protestant Unity commune, near Pomona, with road (current Bruce Highway) running through centre. 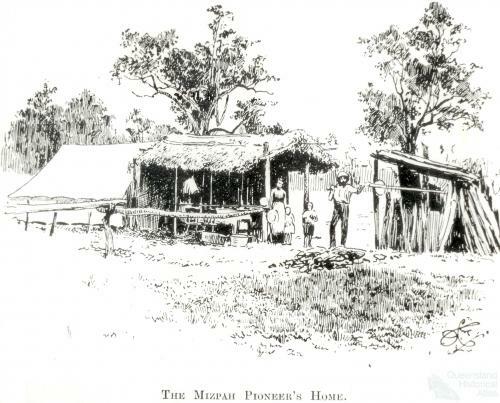 Sketch of Alice River Dairy, 1893. 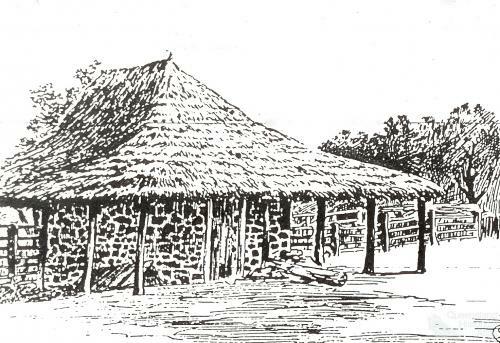 The communards built this stone building, with thatched roof, to cool milk and store it before selling to Barcaldine people. 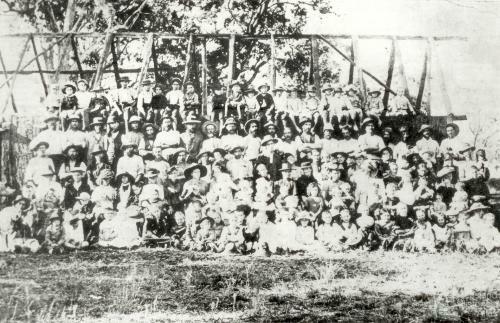 Several students from Resolute and Byrnestown communes beside the bark Byrnestown Provisional School, September 1895.